If space inside and outside the home are important, then you really need to check out 59 Woodlake Boulevard Durack. Adjoining one of the many lakes that wind through the suburb, this 4 bedroom plus office home comes with 3 bathrooms and 2 sheds. One of the sheds has 2 roller door access points and comes with its own bathroom! Yes, this home will impress and definitely worth an inspection. * Rates: $1,720 per year approx. 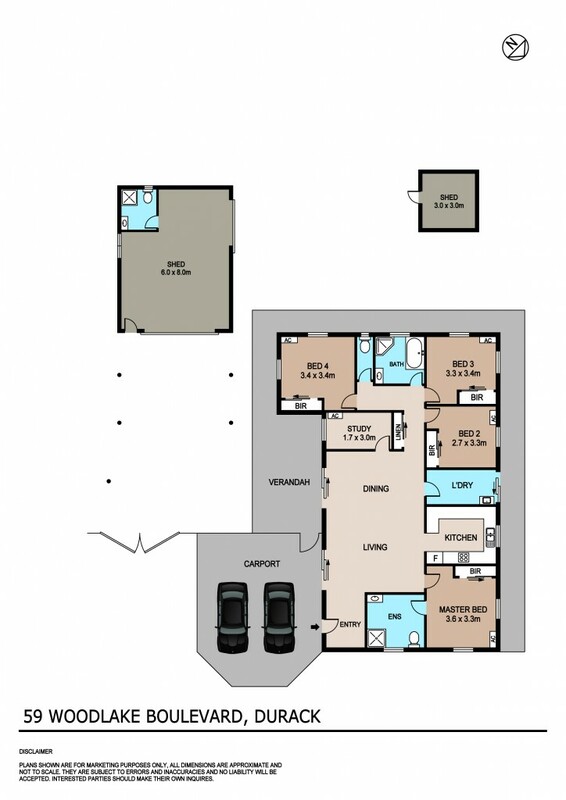 Big homes offering this much space don't become available very often, so if you have been looking for a home that offers the complete package, feel free to call George to arrange a private inspection on 04 3800 4800.